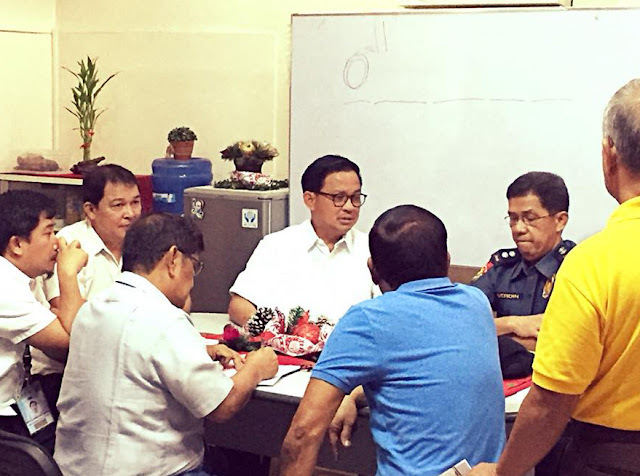 LEGAZPI CITY (November 20) - Mayor Noel Rosal assured the public that the Philippine National Police (PNP) is on top of the situation amidst the violent incident that happened last week near Ayala Malls here that killed one suspect and three (3) others were wounded. Rosal said that he is in unison with the statement of Gov. Al Francis Bichara to stop the operation of Small Town Lottery run by Lucky V Prime Gaming Corporation – a PCSO accredited Authorized Agent Corporation upon disclosure by the police investigators that the crime was a result of a rift between incorporators of Lucky V.
He added that Legazpiños and Albayanos are peace loving people and the violence that occurred due to gambling war is not welcome here.